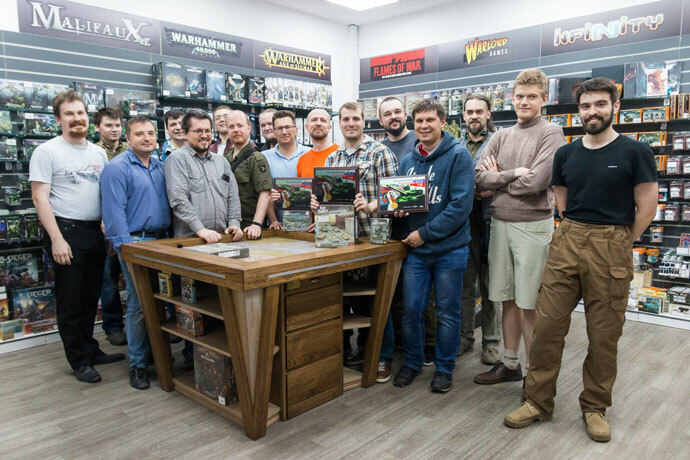 On the 19th-20th of May 2018 the first Russian Grand Tournament Team Yankee was held by Voevoda club at Geek Wars store in Moscow, Russia. 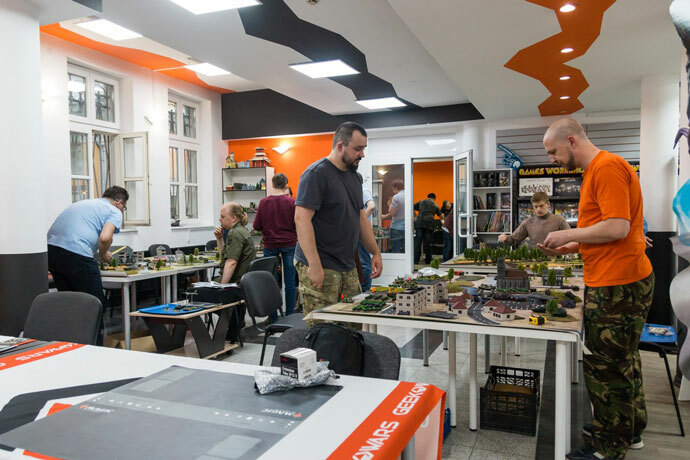 The tournament gathered 16 players from 4 cities: Rostov, Vladimir, Saint-Petersburg, and Moscow. 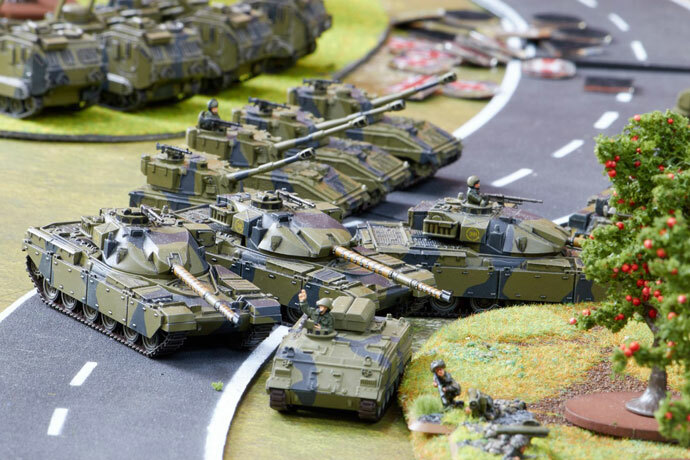 We started to build our forces just a year ago as several enthusiasts who wanted to introduce the game to the Russian wargaming community. During the year a lot of new players joined us and the two global campaigns gave the needed boost for the newcomers to assemble and paint their forces. Once a month we organized tournaments but they weren’t as successful as we wished: most of them gathered from 4 to 6 players. Many players coming to the system were afraid of losing their games during a tournament and that’s why they just refused to participate. Total Wars were much more successful. By playing alongside a more experienced commander it makes you more confident and losing a multiplayer game is a mutual fault and not only yours. All these issues were a headache during the preparation of the Grand Tournament. Several players from Rostov had to change their plans due to their working schedules and players from Moscow delayed their registration until one or two weeks before the tourney. Some of the players could participate on Saturday but were busy on Sunday and others couldn’t come on Sunday, but were able to join on Saturday. So we decided to make the GT more casual-player oriented, and introduced several options: the players could join the tournament for two days or find a friend and make a team, in which case one player participated on Saturday and the other on Sunday. Their points would be calculated together, and if they win any prizes, those would be divided between them. It was also a possibility to join the tourney on Sunday and play for fun. Besides the Tournament Objectives provided by Battlefront Miniatures for all the participants of the tourney and prizes for the first three places provided by Geek Wars store and Voevoda club, we also introduced a prize for the fun-players that was awarded to a random participant of the tourney who wasn’t in the top three. After all the effort the Grand Tournament was a success! 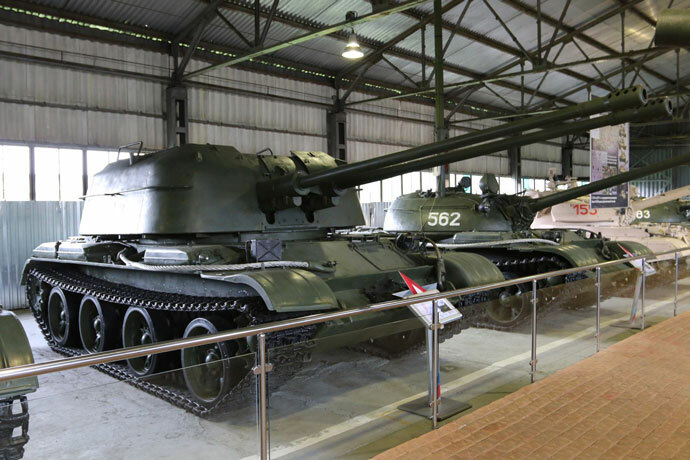 We made a traditional visit to the Kubinka Tank Museum the day before the games started, got 12 players on Saturday and 16 on Sunday. 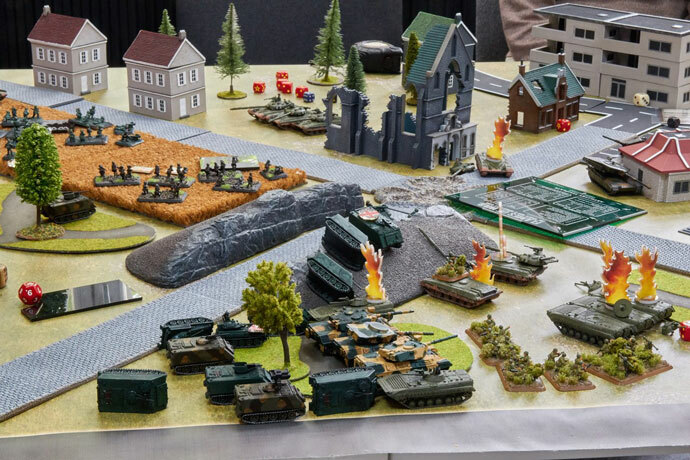 All the nations were represented at the event: 7 players brought Soviet forces, 3 players chose the British, 3 players fought for the West Germans, 2 players preferred the USA, 1 player got his ANZAC pdf force and myself being a proxy player for the second day, played my East Germans. 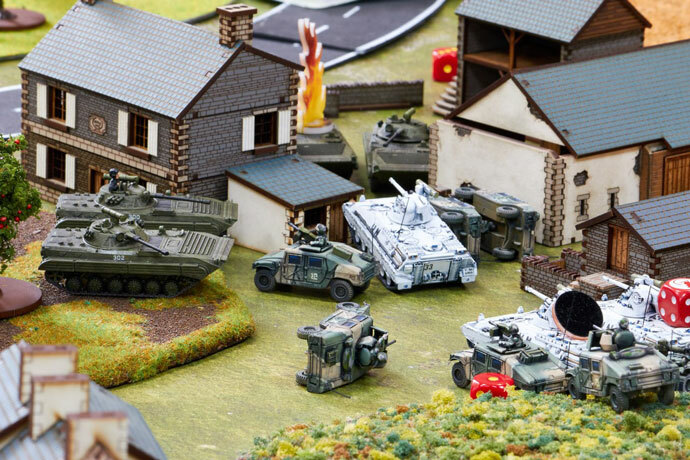 Leonid Sakharchuk with his Soviet force won the first prize, having 3 victories and 21 small points, Dmitry Drovninov with his British force got the second place, having 3 victories and 20 small points. Anatoly Konovalov, playing an ANZAC force was the third, having lost to Dmitry Drovninov in his final game. That made the difference, as Anatoly also got 3 victories and 20 small points! 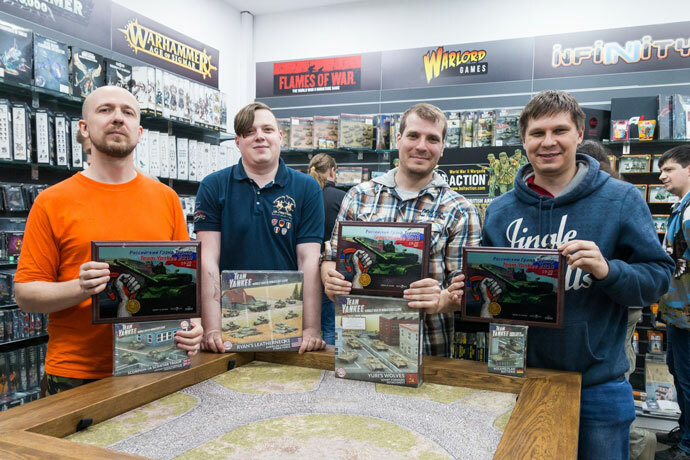 Dmitry Bigailo was the lucky fun-player to win a Ryan's Leathernecks starter box! 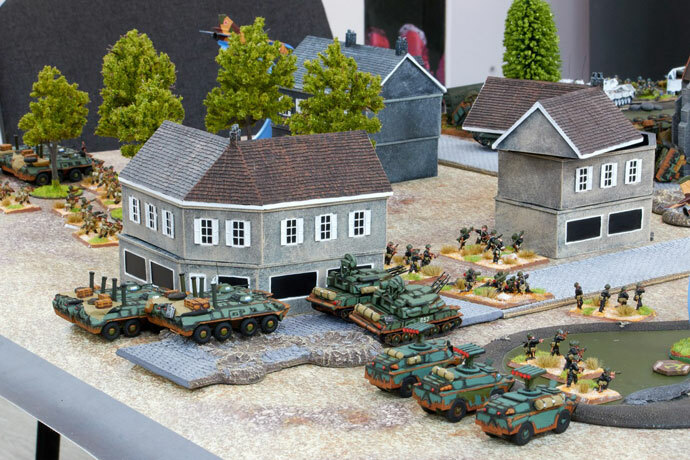 He was lucky indeed as he had to borrow a well-known UN White Elephants West German army for the tourney because his American Marines were being painted at the moment!